Pakistan has escorted a group of foreign journalists and diplomats to the site of an Indian air strike near a madrasa, or Islamic school, on a remote hilltop in the northeast, to show that, contrary to Delhi's claims, no infrastructure was damaged, the military spokesman said. 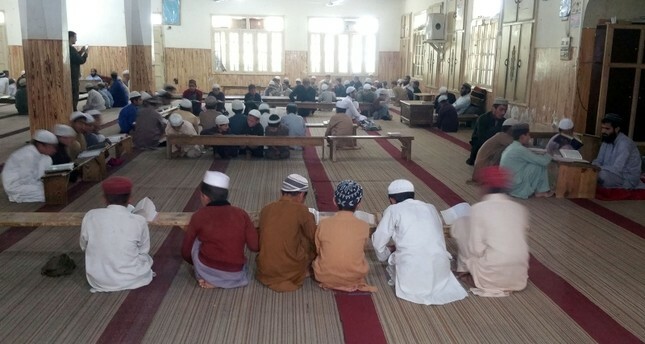 Reuters reported that the group, which included journalists and diplomats mostly based in Islamabad, didn't get enough time to make any kind of informed assessment about whether the madrasa, one of more than 30,000 across Pakistan where children of all ages are taught to memorize and recite the Quran, was a cover for Jaish-e-Mohammed (JeM) militant group, which was allegedly using the site to train fighters to infiltrate Indian-controlled Kashmir. The report said they were mostly restricted to looking around the madrasa's main building, which is located in the Jaba village area near the town of Balakot. "They were hurried away by the army, which organized the trip, after less than half an hour. Those arriving by vehicle had even less time," it said. Ghafoor denied that the madrasa had recently been used by JeM, according to the report. "If there was a relationship it was a long time ago, he suggested." "Those visiting the site on Wednesday didn't see any signs that there had been significant building work to either clear structures or erect new ones. And the vegetation didn't appear to have suffered the stress that might be expected from a missile attack," it added. "The main madrasa building itself doesn't appear to be reinforced in any major way - it has a metal roof with some modest wooden beams." But independent reporting by multiple local and international outlets who have visited the site found no evidence of a major terrorist training camp -- or of any infrastructure damage at all, according to AFP.